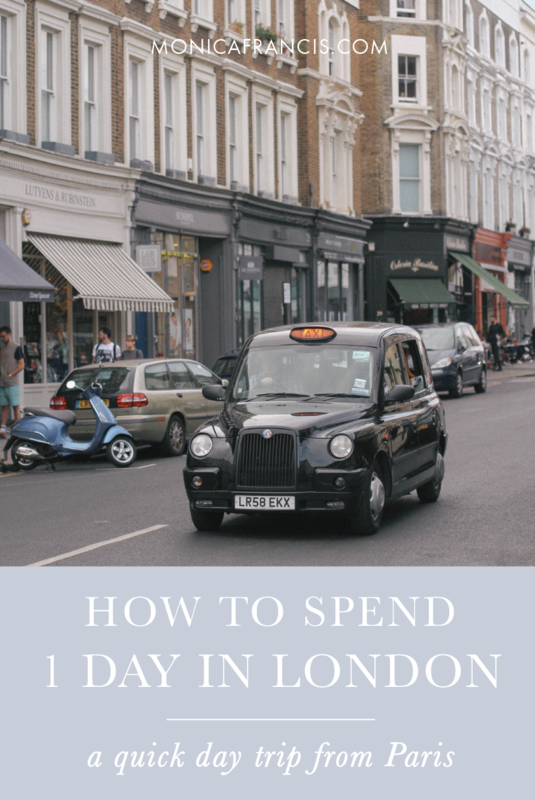 During our time in France this fall, we made a day trip across the English Channel - Paris is always wonderful, but London is my first city-love. Thanks to the Eurostar, traveling from Paris to London is a quick two-hour trip. We chose an early departure from Gare du Nord, where we headed upstairs to go through security, then had coffee and pastries while waiting to board. Because most of the journey is in a tunnel there's not much to see, but it's a perfect time to read or take a nice nap. 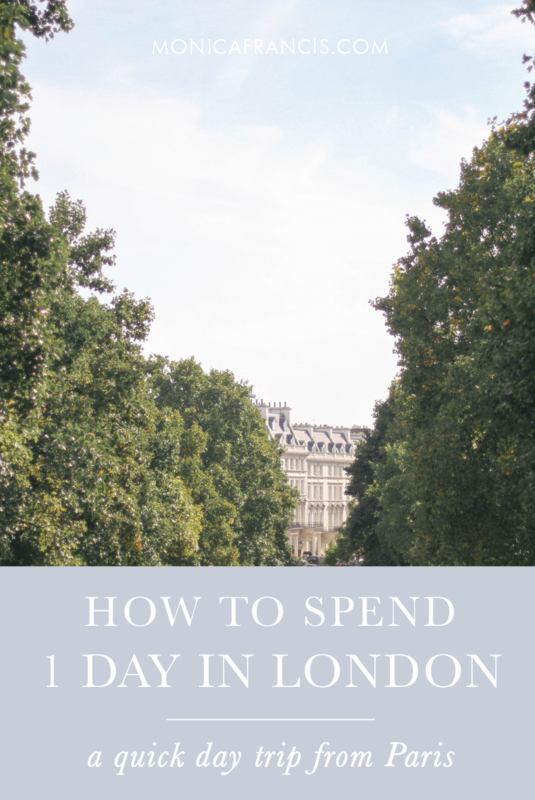 Whether you've been to London before or not, here's my advice: plan only three things to do on a day trip. You'll see so much of the city while you're traveling from place to place, but won't feel harried by a tightly packed schedule. When you arrive at St. Pancras International, you're just across the street from King's Cross Station, home to Platform 9 3/4. Stop by for a photo, or head straight out to the first spot on your list. On a typically overcast London day I would have visited the Victoria & Albert Museum or shopped on Lamb's Conduit Street, but it was a Sunday of surprisingly wonderful weather so our first stop was Hyde Park. After a while of walking in the sun, it was time for tea at The Orangery. This brick building tucked behind Kensington Palace used to host royal parties in the summer and royal orange trees in the winter - it now hosts a beautiful restaurant with a particularly lovely afternoon tea. When all the scones were gone, we made our way out of the park and over to one of the most charming neighborhoods in London: Notting Hill. We spent a few hours walking through the shops and Portobello Market, searching for the most colorful houses and enjoying the beautiful weather. I don't have quite enough of a sweet tooth to keep up with my aesthetic obsession with bakeries, but that didn't stop me from popping in at Biscuiteers and Fabrique Bakery. At the end of the day, we settled in for a very British dinner at a corner pub before catching our late train back to Paris.